​Nut width- Customised for each customer. 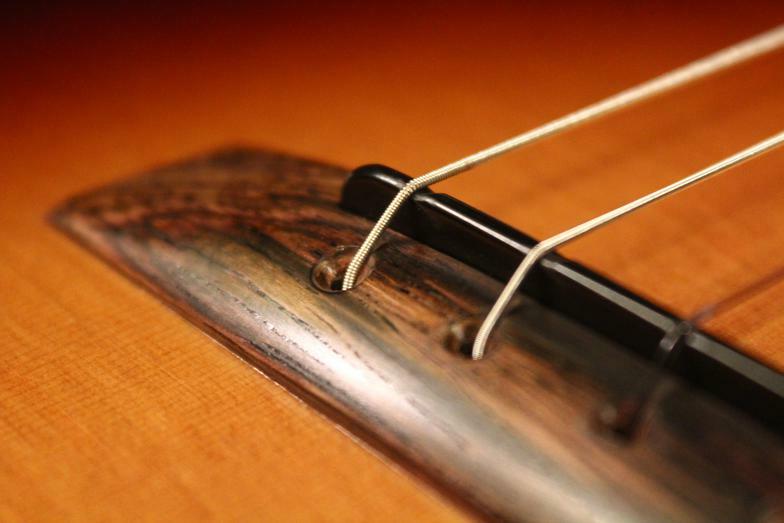 String spacing- Customised for each customer. 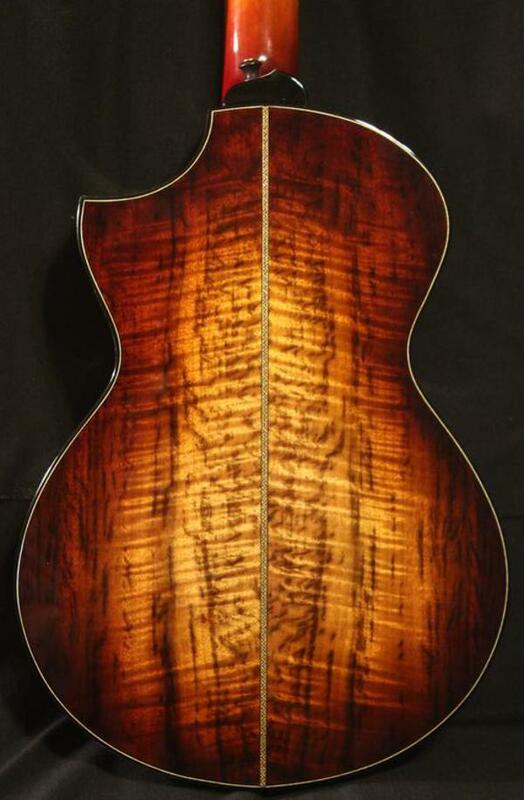 The Baritone is the largest of the ukulele family and is everything one can expect from enjoying such a position. 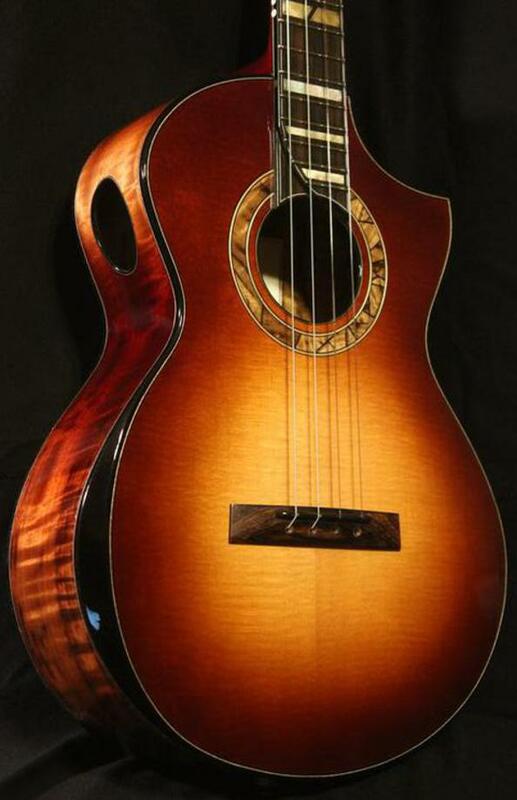 The longer scale & larger vibrating surface of the top give the baritone more volume & more tone making it a fantastic instrument for both fingerstyle or strumming instrument. 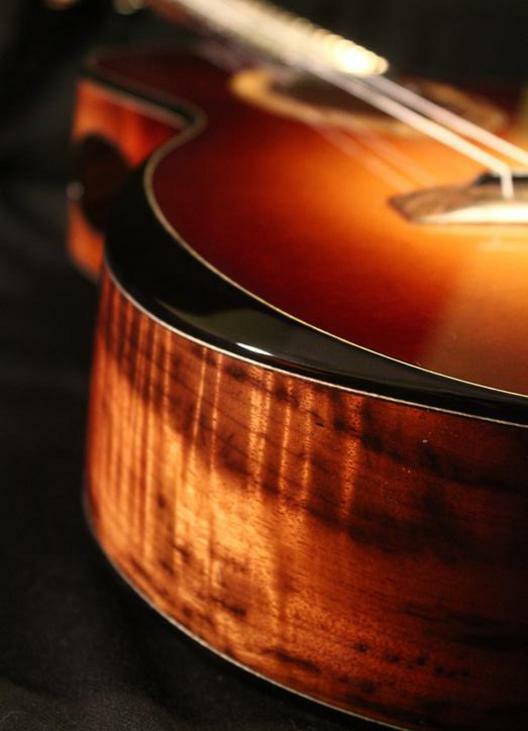 Further, as it is tuned the same as the top 4 strings of a guitar (DGBE), it makes a perfect cross over instrument for both ukulele & guitar players. As usual, everything is customisable. Some options are seen here. 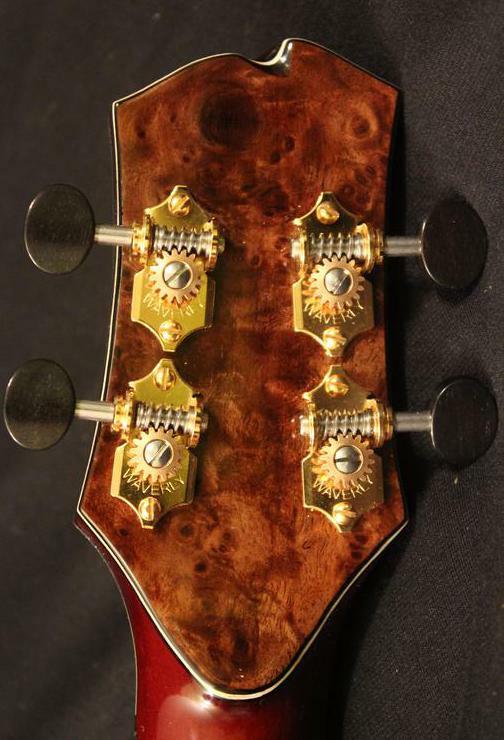 I offer the Baritone (and tenor guitar) as a 6 string travel guitar. 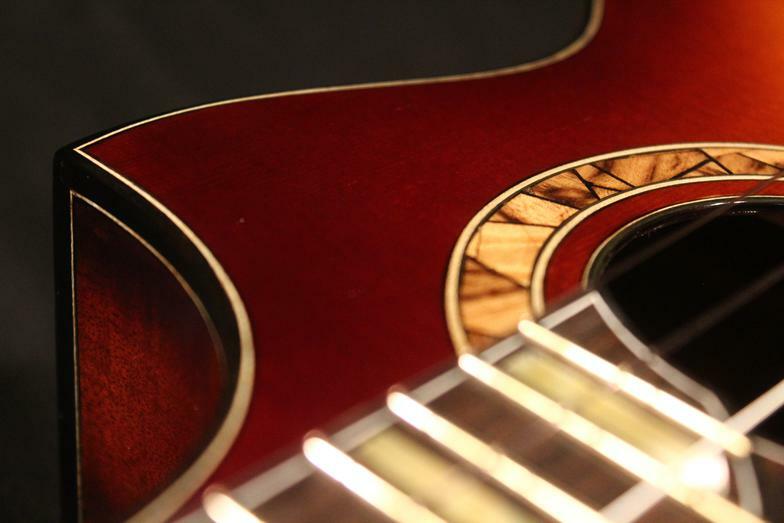 Below is a custom Baritone with Sunburst sitka top, Master flame Oregon Myrtle & custom mosaic rosette. 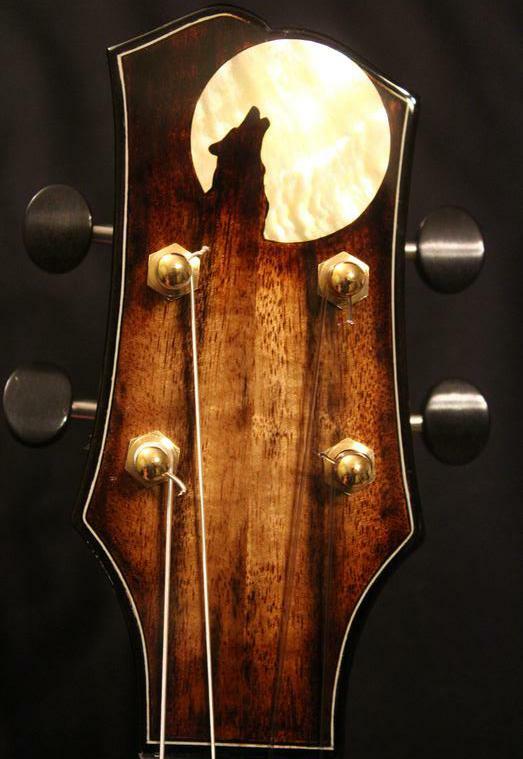 Gold MOP Wolf inlay & block position markers. Port Orford Cedar Neck. 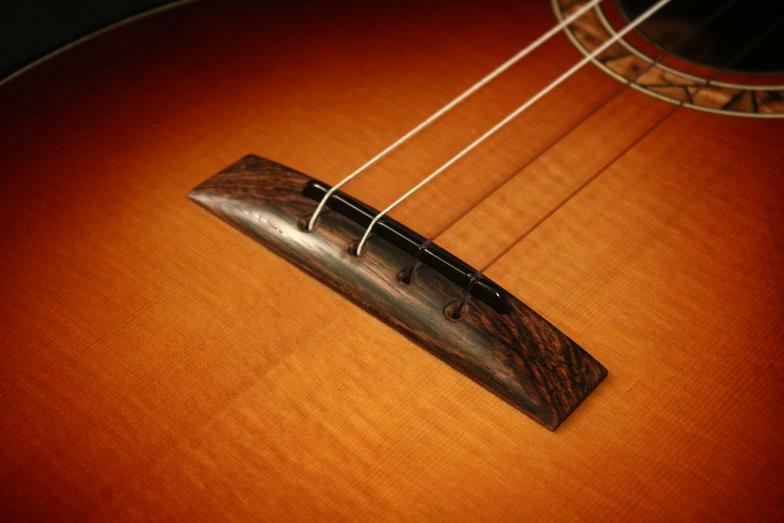 Brazilian Rosewood bridge. 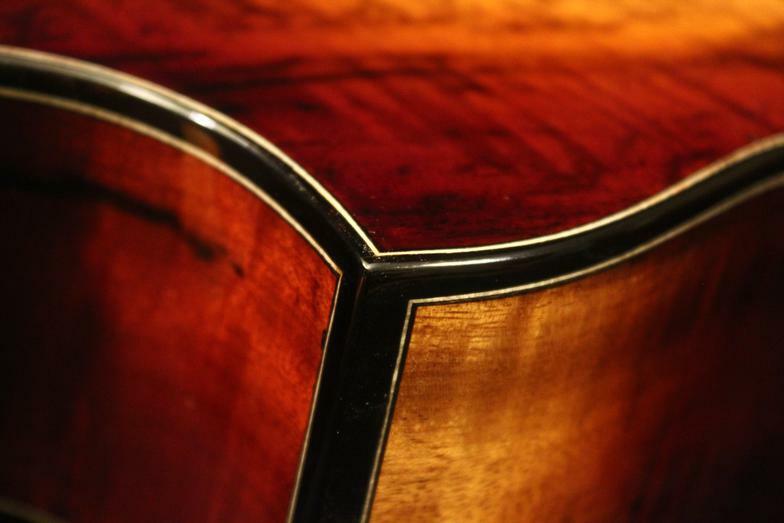 Cutaway with arm bevel & side sound port.